The recent rediscovery of the hand written first draft of the 1775 “Address to the Inhabitants of Great Britain” by Emilie Gruchow at the Morris-Jumel Mansion presents the perfect opportunity to reexamine the accomplishments of a nearly forgotten founding father. The sometimes inflammatory and aggressive letter that also appeals for reconciliation has long been attributed to Richard Henry Lee because of its tone. Analysis of the hand writing of the draft revealed the true author to be Robert R. Livingston, known to history as the Chancellor. Livingston is often portrayed as a minor background character during the Revolution and early republic, despite the many prominent and important posts he had. It was once said of the Chancellor that he had a knack for showing up where history was being made, which conjures the image of an eighteenth-century Forrest Gump, stumbling from one historic event to another without having any real role in them. Perhaps the best example of this was the musical “1776.” When the committee is chosen to write what would become the Declaration of Independence, Livingston sings his way out of Philadelphia claiming he has to celebrate the birth of his son. Ignoring the fact that the real Chancellor never had a son, the simple fact is the Chancellor stayed in Philadelphia until much after the Declaration was written. 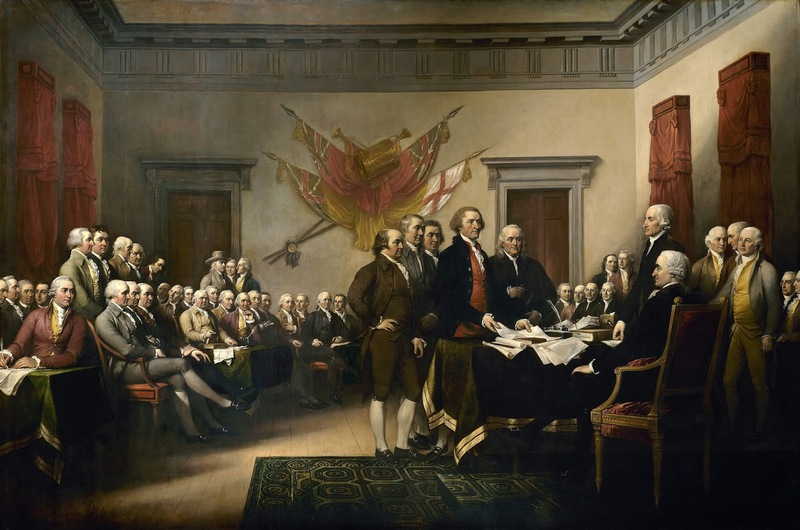 On June 3, 1775 the Continental Congress voted to create letters to the various parts of the British Empire to explain the situation and make a plea for reconciliation. 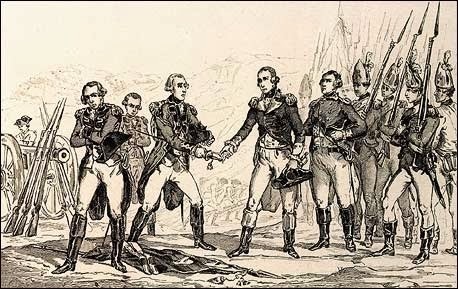 Blood had been shed at Lexington and Concord and Fort Ticonderoga was in the possession of Benedict Arnold and Ethan Allen, but it was hoped, by most that the colonies could remain a part of the British Empire. The letter to George III would go down in history as the “Olive Branch Petition.” Livingston, Richard Henry Lee and Edward Pendleton were chosen to craft a letter to the people of Great Britain. Before the letter was approved by Congress, with some moderation to its initial tone, on July 8, the battle of Bunker Hill showed how tenacious both sides could be in carrying out the war. Ultimately the George refused to even read the “Olive Branch Petition” and the “Address to the Inhabitants of Great Britain” went largely unread in England. 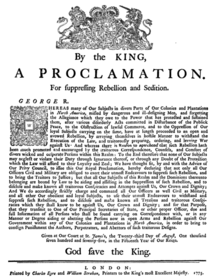 The King issued his “Proclamation for Suppressing Rebellion andSedition” and war was unavoidable. Livingston’s writing did attract some attention in the colonies though when it was published in a pamphlet, unfortunately without his name attached. In a letter to William Bradford, James Madison praised the address by comparing it favorably to the works of Tully (the anglicanized name of Marcus Tullius Cicero, a Greek writer). Later that year Livingston was sent as a member of a three person committee to consult with General Philip Schuyler as to how the war in Canada progressed. They made it as far as Fort Ticonderoga before winter forced them to stop heading north. When he returned to Philadelphia in May of 1776, he was a different man than he had been in 1775. His father and grandfather had both passed away leaving him not only in control of all of the Clermont land but also the defacto head of the Livingston family. In June when the Congress took up the debate of independence, Livingston took a moderate stance. Perhaps he still clung to a hope for reconciliation or perhaps he feared that declaring independence would lead to a more determined British war effort, which would undoubtedly lead to an attack on the Hudson River valley. 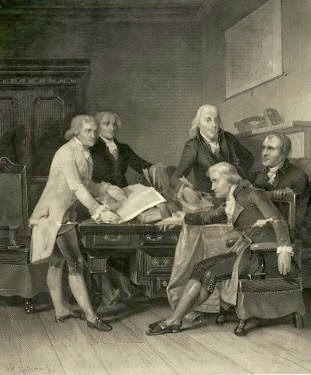 Whatever the case may be when it came time to choose a committee to draft the Declaration of Independence, Thomas Jefferson, Benjamin Franklin, John Adams and Roger Sherman were joined by the committee’s youngest member, 29 year old Robert Livingston of New York. Here is where the widespread “understanding” of the Declaration and even many historians do a great disservice to Robert. Many claim that Livingston took no part in the Declaration, that he was only selected to sit on the committee so that the name of a large New York land owner would be associated with the document. But, with the discovery of the document at the Morris-Jumel House it seems apparent that Livingston was likely chosen because he was a respected writer at that point, and drafting a document that would serve as the Revolution’s press release to the world would require the best writers that the congress had. Thomas Jefferson did create the first draft of the Declaration, after the Committee had met. He then took it to John Adams and Benjamin Franklin for revisions. It then went before the full committee including Livingston for review. What contributions the various members made during this review is not known. Perhaps notes from this session will someday be found in another dusty attic. But until then we can take the following into account. According to scholar (and former Clermont curator) Travis Bowman, the Declaration of Independence bears a certain resemblance to Dutch political documents. The only member of the committee that understood the Dutch language was Robert Livingston. Though he was present for the Declaration presentation to congress, he did not sign the document. While Livingston and the other New York delegates expressed their support for the document they did not have orders from New York’s government to vote for independence. Unwilling to act without orders they abstained from the vote. However Livingston was unable to sit idly by. He headed back to New York to try to get orders for the delegation in Philadelphia on how to vote. Unfortunately for his legend, New York voted for independence before he arrived to argue for it. Thus he is not remembered either as a signer or for pushing Independence in New York. He would spend most of the rest of the year of 1776 working on state matters, including planning the defense of the Hudson River and “riding about the Country in counteracting the Schemes of Tories”[ii]. Although Livingston never held a commission in the Continental Army, the vast amount of correspondence between him and George Washington is indicative of how respected his opinions were on military matters. The chain that blocked British vessels from coming up the Hudson was in large part a Livingston creation. After the war Livingston would be honored as an honorary member of the Society of Cincinnati, a group made up of officers of the Continental Army. In 1777 Livingston’s writing ability was put to good use once again as he was one of the primary authors of the New York State constitution. It was under that document that he was made Chancellor of the State of New York, essentially the highest judge in the land. He was uncomfortable with the populist turn the government quickly took, but it was better than life under the British for him. Livingston and the other wealthy, landed patriots supported Philip Schuyler for first governor of the state, but George Clinton was elected on the vote of the common people. This year also saw a certain recognition of his contributions to the rebellion. In October of 1777 a British armada sailed up the Hudson as part of a three pronged attack designed to cut eastern New York and New England off from the rest of the colonies. 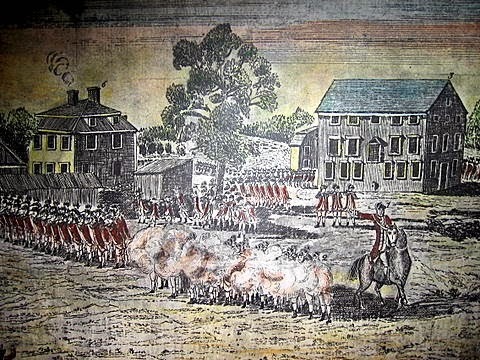 When the main British army was defeated at Saratoga, the British decided to punish the notorious rebel, Robert Livingston by spitefully burning his home and outbuildings. In 1781 Livingston was made Secretary of Foreign Affairs, supervising the diplomatic activities of men like John Adams and Benjamin Franklin who were at then representing the young country in the courts of Europe. 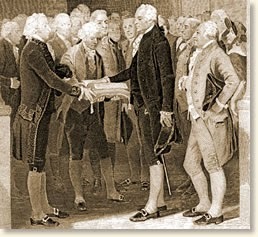 Although the final peace treaty with England was signed in September of 1783, about two months after Livingston resigned the post, the bulk of the peace negotiations had occurred under his watch. Livingston’s final political achievement came not in the United States but in France. Sent to Paris as minister to France during the Jefferson administration, Livingston was largely responsible for the negotiation of the Louisiana Purchase. 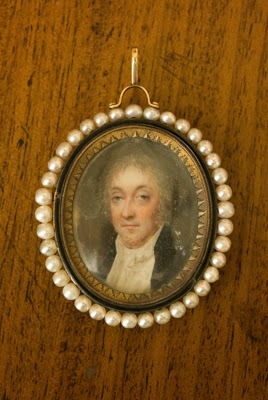 With communications between Livingston and America taking months at a time, Livingston had to rely on his wits and diplomatic skill to complete the purchase. He was joined by James Monroe to help complete the deal, which doubled the size of the country at the time. The purchase was also Livingston’s political undoing. When he tried to claim sole credit for the purchase by changing the dates on some of the related documents he was found out. A minor scandal ensued and he never held another political office. Even then, he was not done contributing to the country. While in France he had met an inventor by the name of Robert Fulton who rekindled a passion for steamboats that Livingston had held since the 1790’s. Upon returning to America they combined forces and in 1807 the first practical steamboat in the world roared and smoked its way up the Hudson River, being sure to stop at Clermont. He also contributed to the agricultural economy of the country with the merino sheep that he brought back from France with him. The wool from his flocks was used in mills to create the first broadcloth woven in America. His treatise on sheep was considered a masterpiece of the time, earning the praise of another tinkerer of the time, Thomas Jefferson. He also founded the American Academy of Fine Arts and was a trustee of the New York Society Library. Bad timing and a bit of an overreach combined to bury some of the achievements of Robert Livingston in the annals of history. However that alone would not be enough to wipe the Chancellor from history as thoroughly as he has been. When the trends in the telling of history are added to that, Livingston vanishes. Shortly after the war ended a populist version of the Revolution came about. This is the version where morally pure farmer/ soldiers rose up to cast off the corrupt and evil yoke of the English king, led by the simple farmer, George Washington. This was the era of when the founding fathers were seen as self-made men. Where Washington, Adams and Jefferson could all be massaged into fitting that mold, Livingston could never be anything other than the son of an extremely wealthy man who inherited a fortune and vast land holdings. Robert Livingston only became less well-received in the late nineteenth century and early twentieth century as the telling of history took on a more socialist leaning. The pedestals that the populist historians had put the founding fathers on where kicked away. Dirty laundry was aired, and the wealthy became the enemies of the common people. In this telling Livingston was dismissed as entitled and with nothing to offer. It is almost ironic that Livingston most enduring public recognition of his life’s work came during this time. 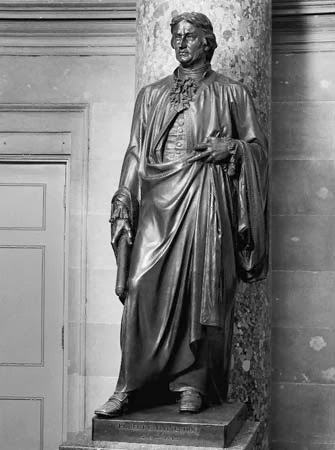 In 1875 New York placed a statue of the Chancellor in the United States Capital as part of the Statuary Hall collection, one of the two statues New York gave to the people of the United States. In truth Livingston’s role in history is much greater than he is often credited with. He contributed to almost all aspects of this country’s founding and growth. It is something of an injustice that his name is not known to most Americans, among the pantheon of other founding fathers, which is ironic since in life he moved among them a respected figure.